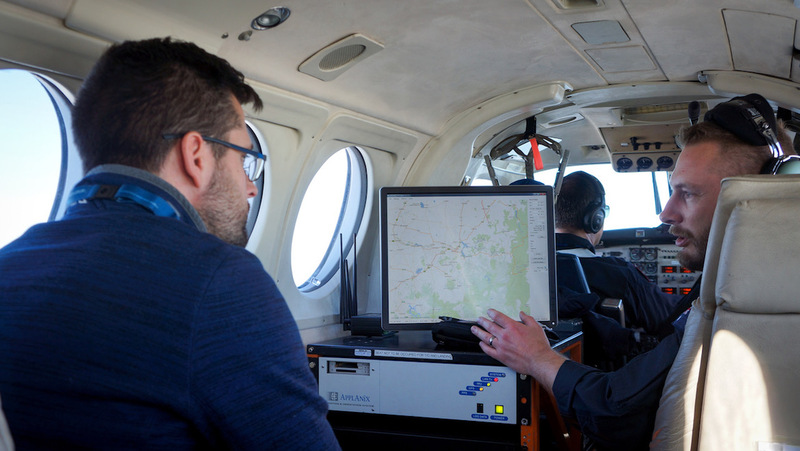 An Airservices Australia trial has successfully demonstrated how Satellite Based Augmentation System (SBAS) technology enables safer and more accurate approach guidance to regional and rural aerodromes in instrument meteorological conditions. “Our participation in the SBAS trial is just one example of our collaboration with other government agencies and industry to ensure Australia is at the forefront of aviation technology,” Airservices chief executive Jason Harfield said of the series of test flights on July 12 and 13 this year. Geoscience Australia is the lead agency for the multi-million dollar SBAS program, with Airservices overseeing the aviation element of the project. 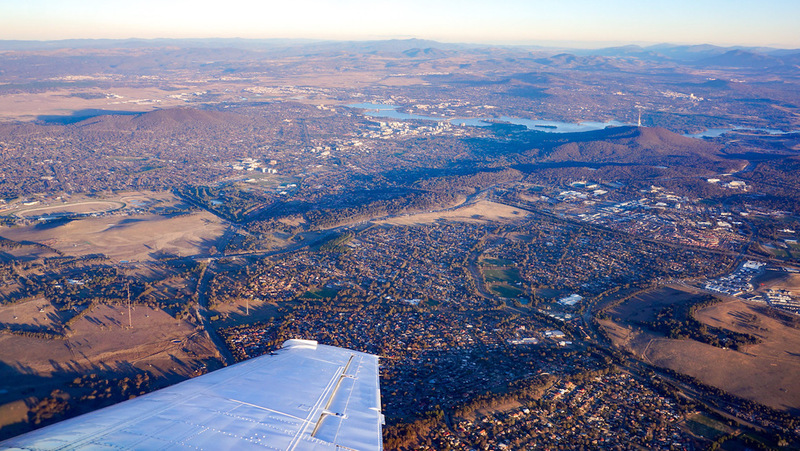 Air Affairs Australia assisted Airservices with the test flights that were conducted at Mount Hotham, Benalla, Wagga Wagga and Canberra airports, with successful results. In Australia, vertical guidance has historically been provided by technology such as the ILS and in more recent times, accurate Baro-VNAV, RNP AR and GBAS. However, these newer technologies are usually only found in large aircraft, mostly Boeing and Airbus, and ILS is expensive to install and maintain. The capability to safely provide stable vertical approach path guidance to a decision altitude (the height at which pilots must have established visual contact with the runway to continue landing) in a low cloud situation has been the exclusive domain of ground-based landing systems that are usually found at major airports, or by using advanced technology only found on large air transport aircraft. SBAS – like WAAS in the US or EGNOS in Europe – uses both space-based and limited ground-based infrastructure to improve the decimetre accuracy and integrity of basic Global Navigation Satellite System (GNSS) signals, such as those currently provided by the Global Positioning System (GPS). With this improved performance, the aircraft can conduct Localiser Performance with Vertical guidance (LPV) instrument approach procedures down to a 250-foot decision height, increasing the chances that a pilot will make visual contact with the runway without need to conduct a missed approach or divert to another airport. Until now, this capability has been limited to ILS-equipped airports, or to aircraft with RNP Authorisation Required capability. Critically, continuous lateral and vertical guidance helps pilots maintain safe height above terrain and obstacles, lowering workload – especially for single-pilot operations – thereby improving safety across the country. While airport access is important for the economics of regional and general aircraft operations, facilitating medical emergency evacuations from rural locations is a crucial capability that SBAS will provide. For example, a patient in Meekatharra in WA could be transported by air, receive primary health care assistance on the aircraft, and transported to a hospital because the aeromedical aircraft was able to land and reach them when it mattered most. “Current navigation procedures at our regional or remote aerodromes get down to about 350 feet above the runway threshold and require the pilot to actively maintain clearance above each segment altitude,” Airservices service and asset performance advisor Simon Reynolds said. The final approach is often the most demanding phase of flight, especially if the approach is conducted into an uncontrolled aerodrome with decreased or limited visibility. 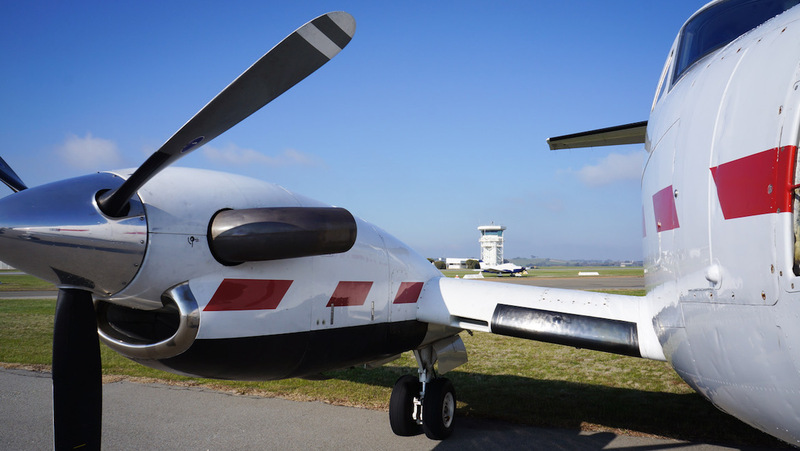 The Airservices trial included a modified navigation receiver installed in a Beechcraft B200T King Air (VH-LAB) which could receive and use the signal from the SBAS testbed. The SBAS testbed was established by Geoscience Australia in partnership with Lockheed Martin, Spanish-based GNSS technology company GMV, and Inmarsat. A wide range of industries in Australia and New Zealand are making use of the signal under a testing program facilitated by FontierSI that is set to wrap up in January 2019. To allow pilots a chance to experience the benefits of SBAS technology first hand, Airservices selected the locations of each test flight that broadly represented where LPVs would be most beneficial. “I find the SBAS system to be safer because now, I have a published approach slope to follow instead of a stepped slope. Instead of having to concentrate on making sure I meet the heights at certain points, I can follow the published approach, resulting in a reduction of work load on descent,” Air Affairs pilot Rob Paprov said. Evident during the trial was the stability of vertical guidance that SBAS provided, which enabled the pilots to know precisely where they were, relative to the ground on approach thus improving situational awareness. This is significant, particularly, in weather conditions where pilots may not have any visual reference to the airfield or the ground. Many aircraft in Australia are already equipped for SBAS, including those with a TSO-C146a GNSS navigator or a TSO-C145 sensor paired with an appropriate Flight Management System such as Rockwell Collins Proline, Honeywell MercuryPX, Universal UNS-1Ew or Thales. “SBAS guidance frees up a bit of capacity for the pilot to deal with other things – such as traffic and/or an emergency on board. It’s also a benefit to a single pilot aircraft as it allows the pilot to follow what the instrument instructs rather than he or she having to work out the approach solo,” said Paprov. 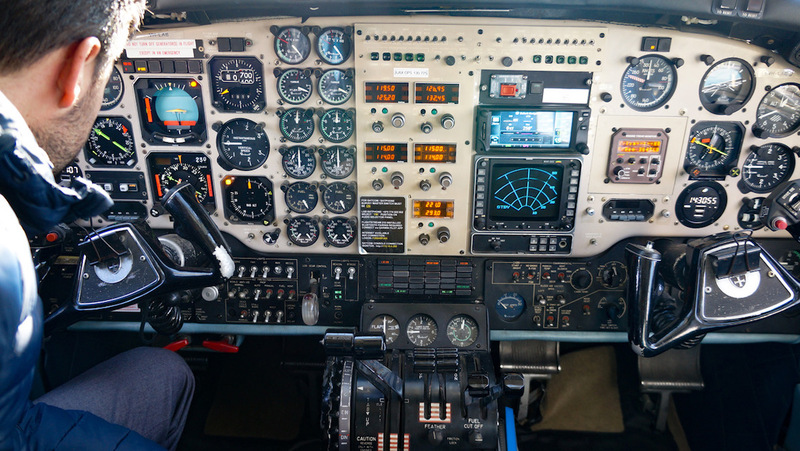 In general aviation, SBAS provides safety and approach stability benefits similar to an ILS – leaving the vertical navigation to the aircraft, reducing workload and freeing pilots to manage other cockpit procedures. The Australian Government has allocated $160.9 million over the next four years to implement SBAS in Australia. The funding explicitly includes aviation certification, certification of other applications that require safety-of-life use and the roll-out of SBAS procedures around the country. Through the use of SBAS, operators such as the Royal Flying Doctor Service and regional airlines such as QantasLink, Virgin Australia and Regional Express can expect safer access to airfields in conditions where they otherwise might not have been able. “From a pilot’s perspective, we could potentially save on fuel and avoid missed approaches,” said Air Affairs pilot Rob Paprov. “Say we were on a 2D approach (lateral navigation information only) and end up too high at our minima and we don’t break visual, then we have to go-around and come back. However, with SBAS we’ll be able to fly on a glide path on slope, allowing us to be on the right altitude at the right point; so down the bottom on our approach, we will have a better chance of becoming visual, thereby reducing the chances of go-arounds. Outstanding. Only problem is this technology has been available in the USA for 10 years, and it is a new revelation here? It is a tried and true method and we have to trial it??? Talk about reinventing the wheel. Lots of aircraft owners like me already have WAAS boxes already in their aircraft dying for this technology to be simply “switched on”. According to the ABC programme Landline, Australian farmers use it for 50 mm accuracy on their field data. Allowance should also be made for continental drift, Australia is not where it was last year.